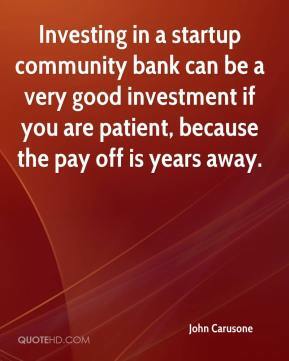 Investing in a startup community bank can be a very good investment if you are patient, because the pay off is years away. 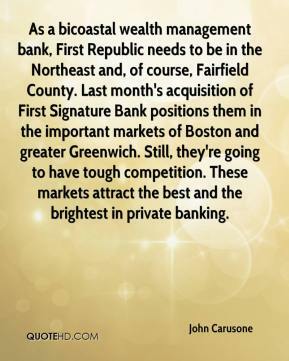 As a bicoastal wealth management bank, First Republic needs to be in the Northeast and, of course, Fairfield County. Last month's acquisition of First Signature Bank positions them in the important markets of Boston and greater Greenwich. Still, they're going to have tough competition. These markets attract the best and the brightest in private banking.